The eliteness of this mod is difficult to overstate, but if you uninstall it, it comes with the risk of causing all video playing software on your system to fail. Not sure what your response means. 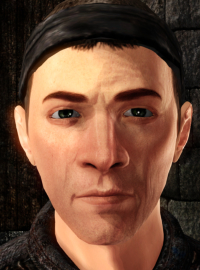 I installed Oblivion. I installed Wrye Bash and Oblivion Mod Maker. I use them to install every component - no manual mod installs. I uploaded Oblivion Reloaded (fantastic looking mod - top notch) but it caused my game to lag horribly. Rather than spending a day figuring out why it was so slow, I decided the game was already good enough, and uninstalled it. Then I went to play a video on Windows Media Player, and I got an error report. I tried opening Windows Movie Maker, and it failed too. I tried to open VLC, and it would open, but wouldn't play anything. After some trouble-shooting, I discovered that, when I reinstalled Oblivion Reloaded, everything worked. When I uninstalled again, nothing worked. I can't help but think that you're mocking the issue I've developed after using your mod. That is unprofessional at best. I like to think that my description about what's happened to me was clear and I strove to be well thought out when typing it up. While it may take self-control on your part, what do you think about attempting some modicum of decency, and addressing the issue. Try something like, "We're not aware of any possible way our mod could override your video system. Have you considered other sources?" You know, speaking as one respectful human to another. I am trying to cause you no harm, and mocking someone for their trials is the action of a bully. The fact that there are two of you engaged in this doesn't speak poorly of me, but ask yourselves - does it speak poorly of you? O GOD! I JUST FORMAT EVERYTHING!!! WE ALL WILL DIE!!! AAAAAAAAAAAAAAA!!! The interesting thing here is that one of you is an Administrator, the other is a Moderator, and yet you treat your guests and patrons like trash. I wonder, were you abused by your parents? Were you treated badly as a child by your peers? My guess is, yes. Generally the petty bully is responding to his environment, and having learned how terrible it is to have power forcefully removed, he forcefully removes it from others in order to feel powerful. Ironically, you become the very thing that you hate. You learn from the aggressor and the oppressor, and then you become the oppressor and the aggressor. In here you have authority, and so you abuse others who were lured with trust in your product. It is, of course, pure cowardice. Attacking others who are powerless to stop you is the act of a coward, and you are defined by your actions. I repeat, Oblivion Reloaded cant do such things, if your uninstall it wrong - its your hands or software fault. ubergamer: i think here your are the stupid and ignorant person. In addition you dont bring respect. I am an engineer and software developer with over 20 years of experience; and obviously everyone can fail, but in this case you should ask yourself......really is it possible i install/uninstall a mod and it alters the possiblity to use any media player or video player on th O.S.? Second, a mod that exist since 2007, now have that problem? Nobody said that?....mmmm....let me think......probably the problem is only mine. 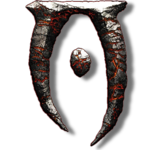 Oblivion Reloaded is a mod and to install it you have simply to copy some files in the Oblivion folder and if you want to remove it, you simply have to delete that files. If you have problems with your O.S., this is not an our problem. You opened the thread saying: "I used Wrye Bash to install", so you failed instantly because install instruction says: "Copy the zip content in your Oblivion's Data folder (i strongly recommended to install OR MANUALLY)", but anyway this is not the problem. Now stop this conversation, otherwise i ban you. Thank you for the information regarding my failure to install correctly. I'll definitely look into it. After some research, I believe you, that it isn't your mod that caused the issue, only a rotten coincidence that revolved around the installation and uninstallation of your mod. I will attempt a manual install as per your instructions. I have put it here in print so that others can see that your mod remains a quality product, and perhaps they can learn from my mistake. P.S. A kind word turns away wrath. You get more bees with honey than with vinegar. May you be kinder to others than you have been to me, and may you find nothing but respect returned upon you. I wish you the very best. Alenet is a busy man. His patience for questions like this is thin. ANY mod for Oblivion will not cause a computer issue outside of Oblivion. They are just saying you cam here with a huge meltdown post and it's not the fault of OR--the fault is in your installation/uninstallation. Probably some OS file found it's way into your installation. I apologize for Alenet and GBR. You question was kind of silly, however. It's recommended for OR to be installed manually because of the files packaged with it, but I personally use Bash because of the (less frequent now) updates. Keep practicing with Bash, just be careful about what gets packaged up.